There’s now less than a week to go until the start of Euro 2016, and ten venues across nine cities have been selected as venues for the competition. Many of them have been redeveloped in recent years, and at least one of the most iconic football stadia in the whole of Europe now looks very different to how we all remember it. Thirty-two years ago was the last time that France hosted this particular tournament, and in 1984 the European Championship was a very different tournament to that which we see today. Six venues were used for the eight team competition, and of those two – in Nantes and Strasbourg – failed to make the grade this time around. The 1998 World Cup finals, the first to feature thirty-two entrants, also saw ten venues used, and of those, two – Nantes, again, and this time Montpellier – have failed to make the grade. If you click on the stadium name, it will open up an image for the ground concerned. Stade de France (Saint-Denis): Completed in January 1998 after a little over two and a half years’ construction, Le Stade de France has become the de facto home of French sport. Situated in the banlieue of Saint-Denis, just to the north of Paris, the stadium, which has a capacity for football of 81,338, is the fifth largest in the whole of Europe, and has hosted World Cup finals in both football and rugby union, as well as two UEFA Champions League finals and a World Athletics Championship. It features a movable stand which covers part of an athletics track – the capacity for athletics meetings is reduced to 75,000 – and its roof has tinted glass in its centre section, which filters out red and infrared radiation whilst allowing blue and green light to pass through, due to their importance in maintaining the health of the playing surface. The stadium doesn’t have a permanent football tenant. Paris St Germain would be the obvious favourites to move there, but the club has come under considerable pressure to remain at its current home, Parc des Princes, from the council for the city of Paris. 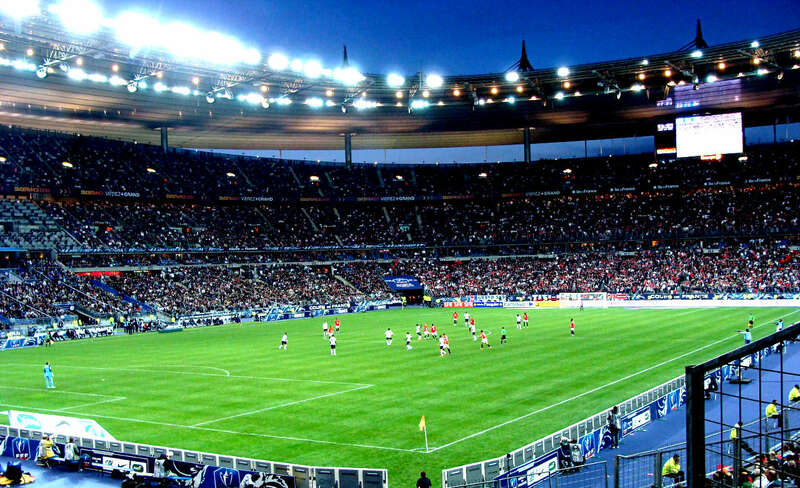 However, the French Rugby Federation, which has used Stade de France for international matches since 1998, is now planning to build its own stadium after having become unhappy with the cost of the rental agreement for use of the Stade de France. It had been anticipated that this new stadium would be ready by 2017, though this tentative date has now been pushed back to 2020. This summer, the stadium will host seven matches, including the opening match between France and Romania, one round of sixteen match, one quarter-final and the final itself. Parc des Princes (Paris): With the arrival of the Stade de France at the end of the last century, we might have expected Parc des Princes to slowly fade from view, but almost twenty years on it’s still with us, a surprising relic from a prior age during an era of perpetual change. 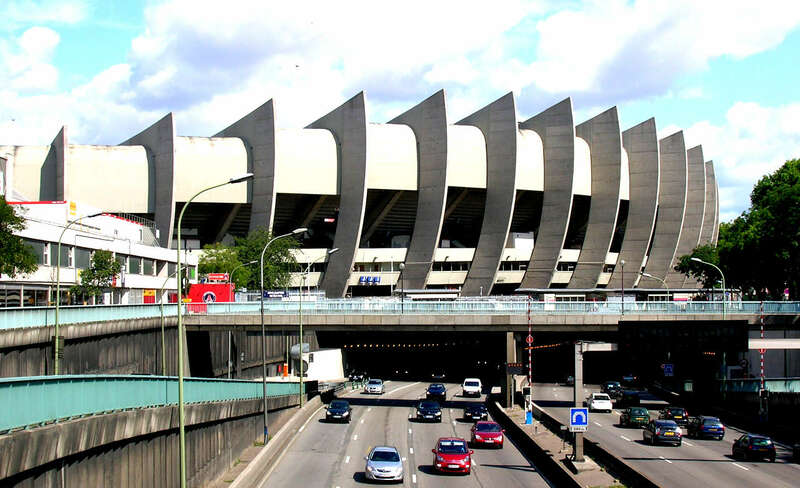 Parc des Princes was originally opened as a velodrome in 1897 and was almost used to host the 1924 Olympic Games before the Stade de Colombes got the nod, but it was a complete redevelopment of the facility in 1972 which led to it becoming the traditional home of French sport. A then little known club called Paris St Germain moved in the following year, and in 1984 it held the European Championship final between France and Spain. It was also used as a home stadium for Racing Club de Paris between 1984 and 1990, and in 1992, when the television company Canal+ purchased PSG, they also bought the stadium operators. Parc des Princes became owned by PSG in 2002, a position that has remained unchanged since the sale of the club in 2006, and there has been little in the decade since then to indicate that PSG will leave. Parc Des Princes is probably best known for its brutalist concrete curves, a true sign of the period during which the stadium was renovated. Designed by the architect Roger Tallibert, who would take his modernist vision of sporting architecture to even more unique heights with the stadium, velodrome and athletes village for the 1976 Olympic Games in Montreal, the stadium hosted three European Cup finals in six years between 1981, and is one of the few in Europe to have staged the finals of the European Cup, the European Cup Winners Cup and the UEFA Cup. Concerns that work might not be completed in time meant that the stadium was only renovated for this summer’s tournament, and it remains likely that a more thorough refurbishment – or perhaps even rebuilding – of Parc des Princes may occur over the course of the next few years. The stadium hosts four group matches and one from the round of sixteen, this summer. Le Stade Velodrome (Marseille): One of the most distinctive looking football grounds in the whole of Europe, Le Velodrome won’t be as many people see it in their minds’ eye for this summer’s European Championships. The huge, semi-circular stands remain in place, but considerable criticism of the ground’s open design, which used to leave spectators fully exposed to whatever unpleasantry the Mistral winds could bring as well as making the creation of an atmosphere inside the ground difficult, led to a roof being put over the stands as part of preparation for this summers’ finals, as well as the capacity of the stadium being increased to 67,000, making it the biggest club stadium in the whole of France. 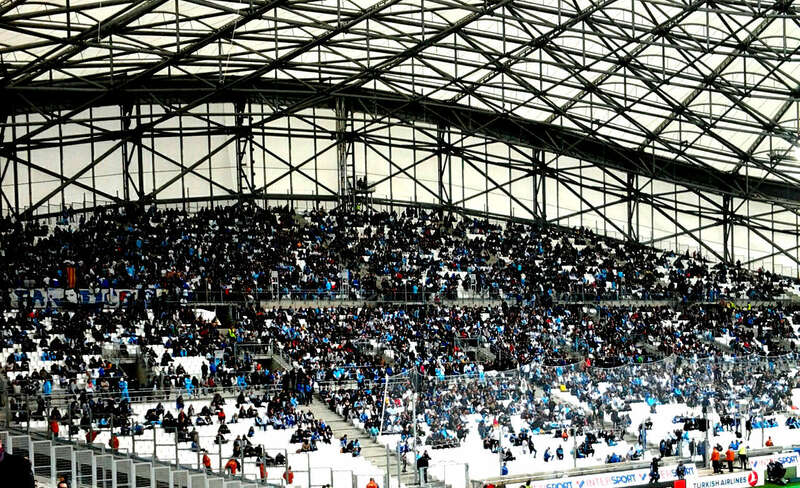 First opened in 1937, Olympique Marseille didn’t move into Le Velodrome until 1960. Considerable redevelopment during the early 1970s reduced the size of its cycling track and removed its running track altogether, and in 1984 the stadium hosted the famous European Championship semi-final match between France and Portugal. The cycling track was finally removed a year later, and for the 1998 World Cup finals the capacity of the stadium was increased from 42,000 to 60,000 people. The stadium hosted the draw for that tournament and then seven matches in the finals, including one quarter-final and one semi-final match. This summer, it hosts six matches, including England’s opening match against Russia, one quarter-final and one semi-final match. Parc Olympique Lyonnais (Lyon): Euro 2016 isn’t solely about the traditional homes of French football, and the other semi-final match is scheduled to be played at a stadium that only opened for business at the start of this year. Olympique Lyonnais were founded in 1899 and moved to the Stade de Gerland in 1950. This stadium hosted matches at the 1984 European Championships and the 1998 World Cup, but OL felt, in spite of the improvements made for both tournaments, that they were going to outgrow their home and in 2008 they announced plans to move to a new home. The award of this summer’s tournament was the final confirmation that the project needed to come to fruition, and work began on a new, 59,000 capacity began in 2012. Olympique Lyonnais moved into their new home in January of this year with a home match against Troyes, but this new home didn’t come cheap, either for the club or for the local municipality. The total cost of Parc Olympique Lyonnais was roughly €600m, of which almost €190m for improvements in infrastructure being paid by taxpayers. The new stadium will be hosting a total of six matches at this summer’s tournament – four group matches, including one of the standout matches, between Italy and Belgium, one match from the round of sixteen, and the other semi-final match. Its predecessor hosted the other 1984 European Championship semi-final between Spain and Denmark. Stade Pierre-Mauroy (Lille): The rest of this tournament outside of Paris isn’t all about the south of the country. 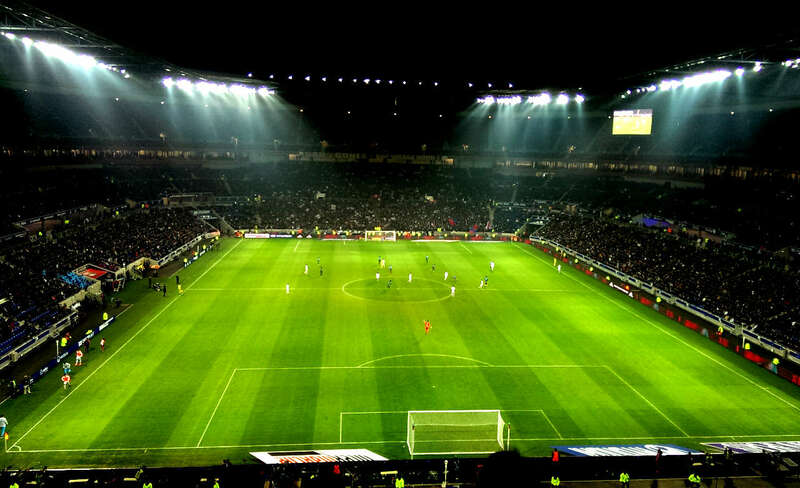 Lille has found itself a new identity as a hub on the Eurostar line between London, Brussels and Paris, and it seems appropriate that this town should also be the home to another of France’s new generation of stadiums. Lille OSC had played at several different homes before ending up at the Stadium Lille Métropole, which had been designed twenty-eight years earlier by Roger Tallibert, who also designed Parc des Princes, in 2004. The club had initially hoped to develop the Métropole, but after a change in the way in which the area was administered two years later plans were put n place for a 50,000 capacity stadium with a retractable roof and the ability to be converted into an indoor concert venue in less than an hour. With the construction of a hotel and a restaurant, the total cost of the development was €324m. This was a far cry from the club’s previous issues with finding a home. Lille OSC had moved into the Stade Grimonprez-Jooris in 1976, but the club found that it didn’t meet UEFA standards when the club started getting into European tournaments, meaning that they had to play Champions League matches at nearby Lens, which prompted the club’s move to the Métropole. Such difficulties are, of course, a long way from the position in which the club now finds itself. Stade Pierre-Mauroy will host six matches at Euro 2016, including France’s group match against Switzerland, one round of sixteen match and one quarter-final. 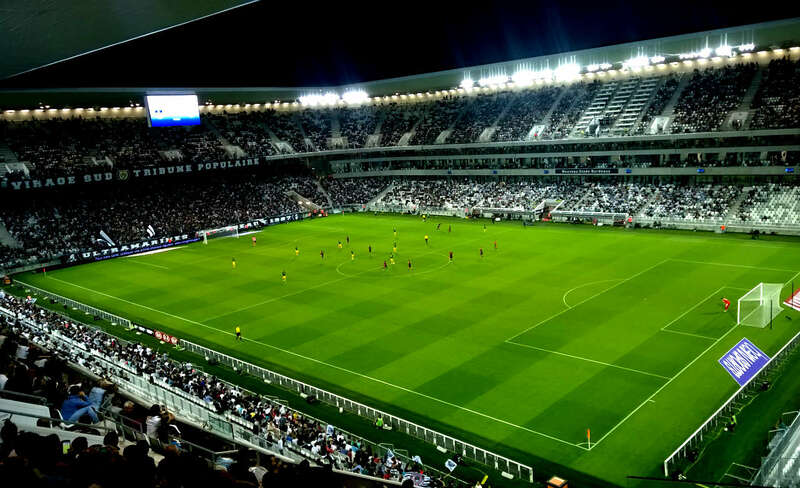 Le Stade de Bordeaux (Bordeaux): Another new stadium for this tournament is to be found in the city of Bordeaux. FC Girondins de Bordeaux had played at Stade Chaban-Delmas since its construction, and the stadium held matches at the World Cups of both 1938 and 1998, but in the new century, even with a new name – it was renamed Stade Chaban-Delmas in 2001 for the recently deceased Jacques Chaban-Delmas, who had served as the mayor of Bordeaux between 1947 and 1995 – it was starting to show its age. With the stadium being partly public financed, delays to it being built came about as a result of protests from taxpayers who were unhappy at their money being used for such a project, but building eventually started in 2013 and the club moved into its new home in May of last year, hosting a match between Girondins de Bordeaux and Montpellier. The new stadium was designed by the architects Herzog & de Meuron, who developed the Allianz Arena in Munich and St Jakob Park in Basel, as well as the iconic Bird’s Nest stadium in Beijing, which was used for the 2008 Olympic Games. It has a capacity of 42,000 people, and will host five matches at these finals, including one quarter-final match, and its design features more than a thousand white columns, which are set to represent the Landes Forest, a local nature region.”Special attention was paid to the integration of the structure into the grand landscape,” said Herzog & de Meuron of the development, “The meticulous geometrical arrangement of the bowl structure and columns reflects the pattern created by trees and paths.” Well, that’s all very well, but do they sell Bovril there? 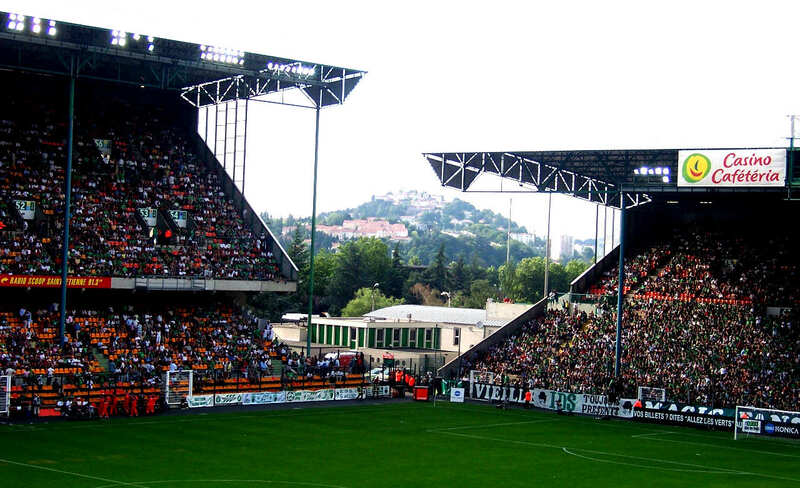 Stade Geoffroy-Guichard (Saint-Etienne): From some of the newest developments in French football stadia, then, to one of its traditional homes. AS Saint-Etienne has long been one of the more romantic names in French domestic football, and Le Stade Geoffroy-Guichard has been through it all, through the glory days of the mid-1970s and the slush fund financial crisis of 1982 which left the club in a terrible condition, to hosting matches at the 1984 European Championships and the 1998 World Cup finals, including, of course, the Second Round match between Argentina which ended with a penalty shootout defeat for England. In 2009, however, the club’s senior management proposed leaving Le Stade Geoffrey-Guichard in favour of a new stadium, with a relatively small capacity blamed as being stifling in terms of allowing the club the generate extra revenue. However, the local authority eventually opted to redevelop the existing site, increasing its capacity from 30,600 to 41,200 for the finals of the 2016 European Championships, where it will host four matches, three in the group stages of the competition – including, somewhat ominously when we considered what happened there in 1998, England’s final group match against Slovakia – and one of the Round of Sixteen matches. Stade de Nice (Nice): In case you were wondering, the names of these grounds are mostly sponsored, but UEFA rules require that they don’t use their sponsored names for the finals of these competitions. Stade de Nice, for example, is more commonly known as Allianz Riviera, but that is not going to be seen anywhere for the duration of this tournament. For more than ninety years, Nice played their home matches at the ramshackle Stade du Ray with only minor improvements being made to it. However, such was the condition of the ground that the club had to get special dispensation from the LFP to use the ground in Ligue 1 in recent years, and the opportunity to do so finally arrived for the club when France was awarded this tournament. Stade de Nice has a capacity of 35,000, and took a long time to be completed. 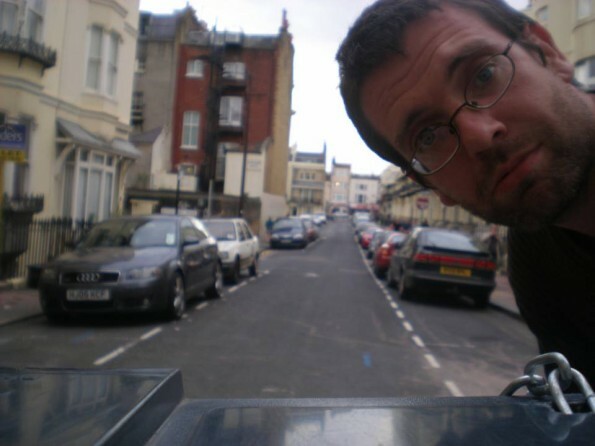 It was originally planned to be be finished by 2007 before concerns over its cost put it on the back-burner. The awarding of Euro 2016, however, saw the plans revived and work began on it in 2011, completing two years later. 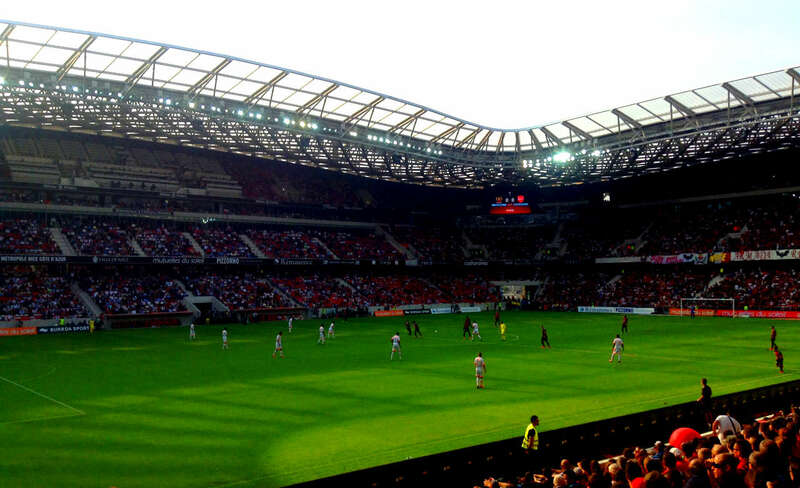 Nice played their first match there against Valenciennes in September 2013. The development cost €245 million to complete, and the stadium will host four matches in the finals, three group matches and one match from the round of sixteen. Stade Bollaert-Delelis (Lens): Another of the older homes of French football, Stade Bollaert-Delelis opened in 1934 with a capacity of just 12,000, and remained largely unchanged until the 1970s, when new stands saw its capacity increased incrementally to hold 39,000 people. It was then further redeveloped for the 1984 European Chamipionships, which increased the capacity still further to 51,000 people, making it for a short period of time the largest football stadium in the whole of France. The stadium then underwent further developments for the 1998 World Cup finals, which saw it host five group matches and France’s round of sixteen win against Paraguay. 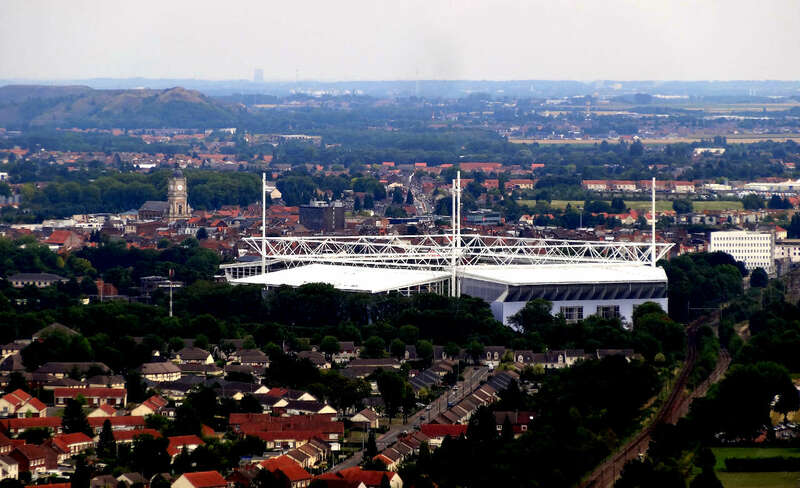 By 2004 the capacity of the stadium had been reduced to 40,000 in order to make way for new corporate facilities, but since then Stade Bollaert-Delelis has only undergone minor improvements and now has a capacity of 38,000. It also hosted matches in both the 1999 and 2007 Rugby World Cups, and this summer will play host to three group matches – including the match between England and Wales – as well as one match in the round of sixteen. 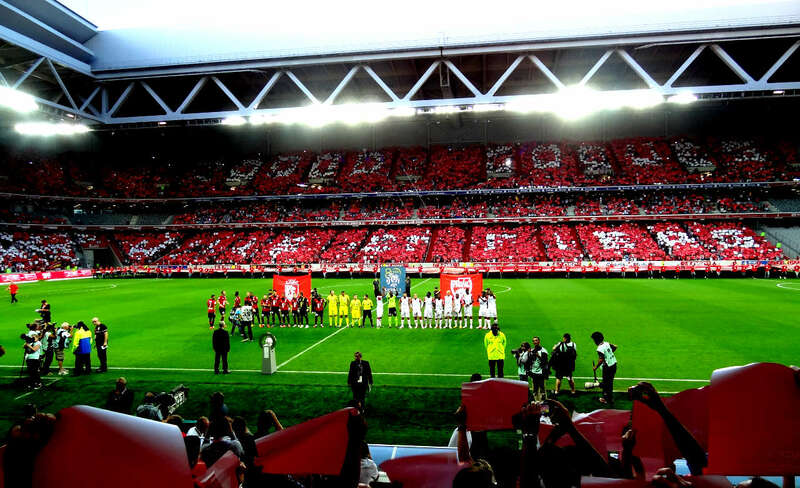 The stadium was also used for two seasons in the Champions League by local rivals Lille after Lille’s stadium fell short of UEFA’s ground requirements. Both clubs host matches in this tournament. 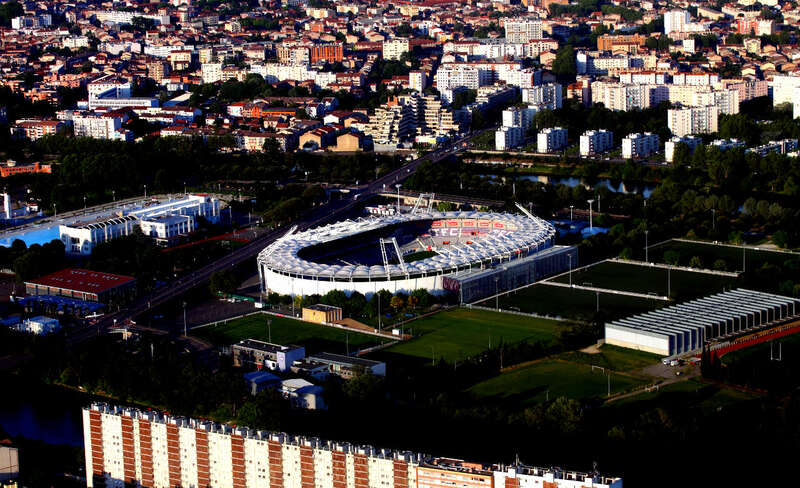 Stadium Municipal de Toulouse (Toulouse): The smallest stadium being used at this summer’s tournament labours under the somewhat unusually anglicised name of Stadium de Toulouse. It opened in 1937 in time for the 1938 World Cup finals and was further developed in 1949, but after that stayed the same until the 1998 World Cup finals, for which it held six matches, five group matches which included England’s final group match against Romania, and the round of sixteen match between the Netherlands and Yugoslavia. The stadium was expected to be extensively renovated for this tournament, but financial constraints meant that this had to be scaled back. This summer, the stadium, which now holds 33,300 people, will host three group matches and one match from the round of sixteen. You can support independent writing through becoming a patron of Twohundredpercent by visiting here.